The Green Lion Festival is fast approaching! 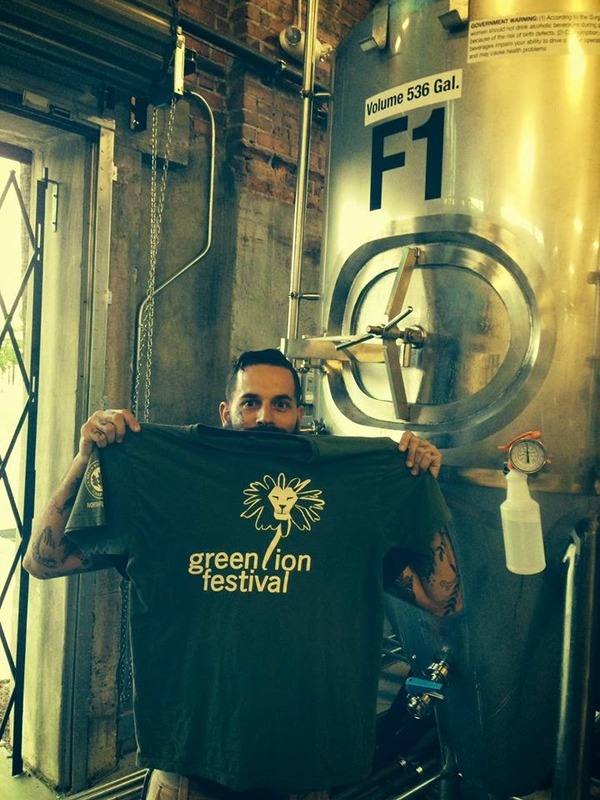 On October 4th, Aardwolf Brewing Co. and USGBC North Florida will host this FREE festival, which supports green-focused business and innovative organizations. Beer is a major factor in the festival this year. 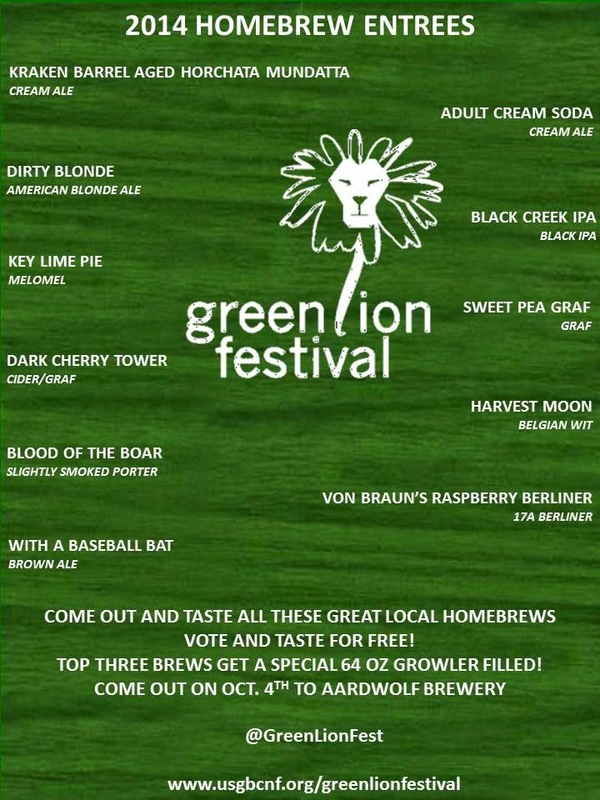 Not only is Aardwolf opening their space for the event, they have also brewed a special "Green Lion" beer that will be available during the festival. But, perhaps, the biggest beer-related component of the day is the home brewer's competition. The festival will be serving over 50 gallons of unique beers that come from the creative minds of local home brewers. Those who attend the event will have the opportunity to sample each beer and vote on their favorite. 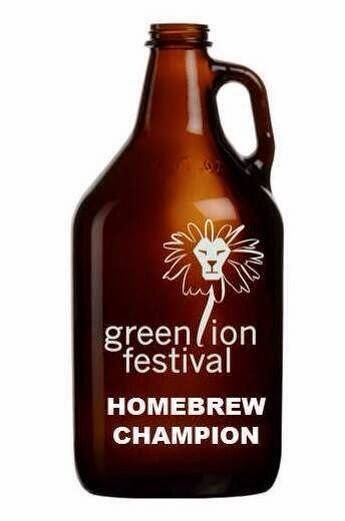 The top vote-getters will receive an engraved 64oz growler as their trophy. As you can see, beer is very much at the center of what will make the Green Lion Festival a must-attend event. This week, I sat down with the CEO of Champion Brands, Earl Benton, who is one of the festival’s biggest sponsors. Champion Brands distributes many of Jacksonville’s most popular beer, including Intuition Ale Works, Aardwolf, and the recently opened Veterans United Craft Brewery. Most people know that. But what most people don’t know, is Champion Brands is a green-focused company that is prioritizing sustainability! This makes for the perfect marriage between Champion Brands and the Green Lion Festival. Benton has been working on a corporate sustainability project that has led to some major changes at Champion Brands. “This relationship between us and Green Lion made a lot of sense. We have always been on the forefront of sustainability. When we started to investigate compressed natural gas and LED lighting, we saw that it was saving us 6-digits a year. That’s good. Not only are you saving money, but you are helping save the environment,” Benton explained. Those who know Earl Benton personally might even argue he has already helped to make the world better then how he found it. At least when it comes to the Jacksonville beer scene. Jacksonville, over the past few years, has experienced unprecedented growth in its beer community. Dozens of new businesses have opened, and Champion Brands has very much been in the fold of that growth. When asked about the growth in the city’s craft beer sales, Benton pointed my attention to the local brewers who have committed their life (and sometimes their life savings) to the industry. ” Jacksonville has some notoriety with beer. Ben Davis (Owner, Intuition Ale Works) has done a great job. Aardwolf has some big days ahead. Veteran’s United, just opened up, they’re going to be a force to deal with. All these guys are making a very good product. It’s good for people to have choice.” Earl Benton said all of this with a smile on his face, as if he were boasting about the accomplishments of his own kids. Benton has a big heart for beer in this community. You can see it in the way his company operates. You hear it in his voice. And it’s demonstrated in Champion Brands' sponsorship of the Green Lion Festival, an event that is really turning out to be a celebration of beer and home brewing. I can’t think of many home brewing events sponsored by a major distributor. At face value, one might assume the two don’t go together; a distributor makes his money through sales. Sales have to come from a licensed brewer. Home brewed beer brings in zero revenue dollars and cannot be sold. I asked Benton why he was supporting an event around home brewing. He said, “That’s how some of the best made their start. Ken Grossman (Owner, Sierra Nevada Brewing Co.) started out in his garage and look at him today. Jim Koch, [founder of] Sam Adams is the same way." Being successful in the beer industry requires people who know what they want to accomplish and then go out and accomplish it. Home brewing is often the first step in this process. I couldn't let an interview with distributor Benton finish without getting his thoughts on the 64oz growler that is outlawed in the State of Florida. This has been a controversial topic in Florida, and there are often mixed stories portrayed in the media about the stance of distributors on the topic. Like everything else in the interview, Benton shared his thoughts openly and with conviction. “We are trying very hard in the State of Florida right now. We don’t think there should be a limit on the package. If someone wants a 68 ¾oz jug filled, what’s the big deal? As long as the State can figure out how to collect the appropriate taxes on that container, we don’t have a problem. And it’s not all on the legislative system in Tallahassee. The State already allows some to sell directly to the consumer. “ Benton is referring to breweries like Bold City and Intuition where beer is sold directly to customers straight from their taproom. In fact, beer-loving patrons can enter into any one of Jacksonville’s eight breweries and order a pint directly from the brewery. The one thing patrons can’t do is order a 64oz growler to-go. Not yet, at least. 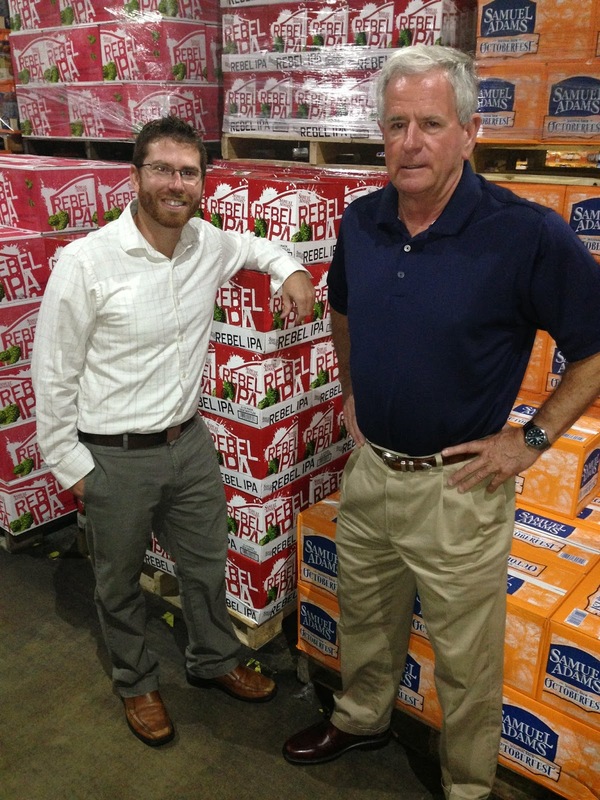 My time with Earl Benton concluded with a tour of Champion Brands’ warehouse, which is the largest beer closet I have ever walked in! I was thoroughly impressed during my visit. Champion Brands is a classy company, led by a successful leader who happens to really love Jacksonville and its beer. That’s a pretty good combination.